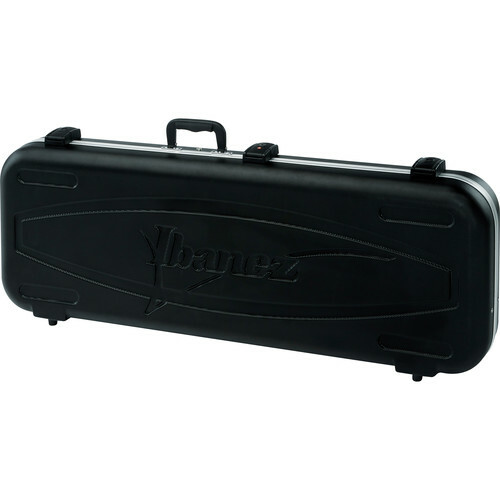 Box Dimensions (LxWxH) 43.0 x 17.0 x 6.0"
M300C Hardshell Case for Select Electric Guitars is rated 5.0 out of 5 by 2. Rated 5 out of 5 by Danny from GUITAR CASE GREAT DEAL AND VERY NICE CUSTOM GUITAR CASE. ONLY ISSUE I HAVE IS THAT IT DID NOT SAY IT WAS ON BACK ORDER,IT JUST SAYS SPECIAL ORDER.BUT FOR THE PRICE,I WOULD HAVE WAITED ANOTHER MONTH. THE CASE IS PROFESSIONALLY BUILT,AND PERFECTLY BALANCED WHEN YOU PICK IT UP.AND 2 SETS OF KEYS IS A PLUS. Rated 5 out of 5 by Marc from Very happy Great buy, much less than competitors price, transaction flawless. Very happy with purchase. Will this fit an Ibanez s8? Unfortunately, the MB300C is not sized to fit 27&quot; scale models like the Ibanez S8.